If you've never seen an active minesite, it is quite the eye-opener. They are big, so so big. It does depend on the type of mining, and the most impressive are open-pit mines for things like gold and uranium. They'll catch your breath when you first step out of the vehicle and face them. It's proof that man can move mountains, and most of us don't even notice. Western Australia is the money-making machine behind Aus. It is a state chock full of minerals to mine out of the ground, and chock full of companies willing to do so. It's also the home of some really cool restoration research: my old restoration lab (ERIE led by Prof. Richard Hobbs); Kings Park and Botanic Gardens (led by Dr. Ben Miller); Prof. Kingsley Dixon and his crew at Curtin; Dr. Suzanne Prober at the government agency CSIRO; it's really a place rife with exciting ecological work. Which means that post-mining restoration is world class, and the whole state has pretty high expectations. The aluminum mining company ALCOA is famous for restoring 100% vegetation diversity in their minesites. That's sets a wonderfully high bar, and the other regional mining companies try their very darndest to meet it. 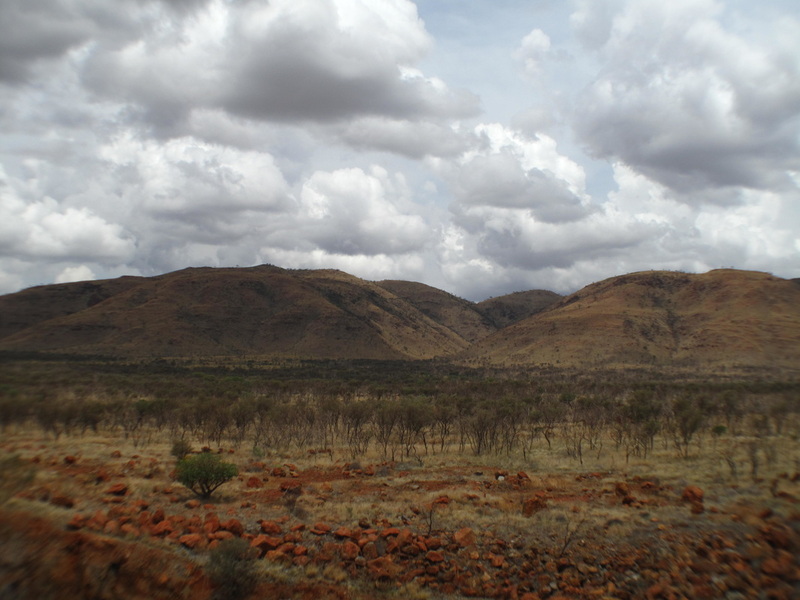 My work focused on the iron-ore mining up in the Pilbara, a beautiful, bizarre semi-arid region in the northern portion of Western Australia. It's got sweeping, rugged landscapes of exposed red rock. 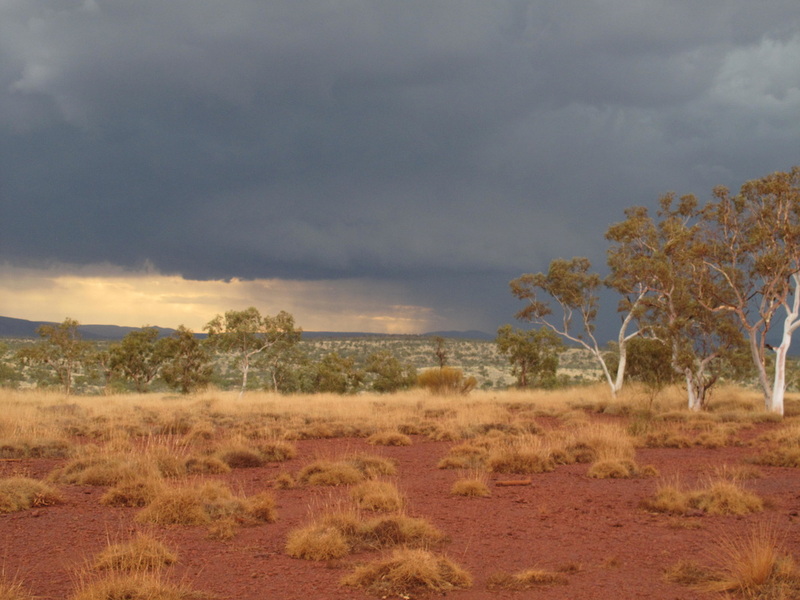 Rainfall is limited, and often comes in a deluge on the back of a cyclone. As it runs down the steep hillsides, it does funny things as it flows, creating stripes and circles of vegetation next to bare ground. The red rock contrasts beautifully with the pale grasses and blue skies. It also signals to anyone paying attention that the soil is rich in iron. 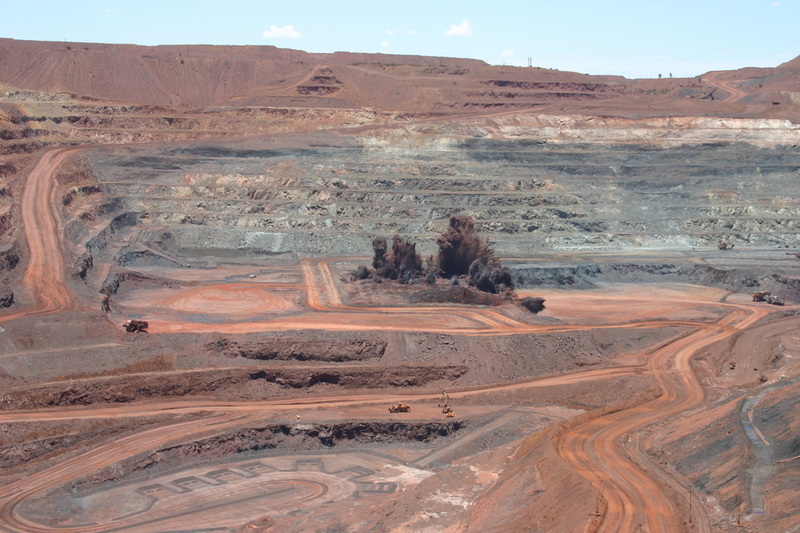 The Pilbara is home to about 16% of global iron production, over 2,300 square kilometers of mining. As a reference, 2,300 square km is the size of Paris. Restoring these areas is a tough gig. Big shocker, open-pit mining is a huge disturbance. To do it, industry has to dig up all of that beautiful topsoil, with all of the healthy seeds from the local plants, and store it for the life of the mine. Seeds can last in the soil, but some only for a very short time. Then once you put the soil back ON the site, everything is different. The topography, the nutrients, the density. Pretty much anything that can have changed, probably did....well, except for the fact that it doesn't rain very much up there. The mining companies do what they can. The tear up the soil to make sure moisture can get in and seedlings out, but that allows some species to grow better than they would under natural conditions. They plant seeds, but some plants have these ridiculous strategies of storage, where they just sit in the seedbank until something like a fire comes through and inspires them to germinate. Actually, most of the grasses in this mostly-grass ecosystem have that particular trait. I worked with one of the mining companies to analyze all of the monitoring data collected since they started restoration to figure out what worked, what was a waste of time, and what they could do better. One big thing? Water! If they planted seeds on a site in a wet year, low and behold stuff came back. Now the mining company is testing out irrigation schemes and conducting huge experiments up there looking for the best way to get wet, germinating seeds. One surprisingly not great thing? Topsoil. The problem is that their topsoil (the original soil that they keep around until closure) is of different ages and quality, and nobody bothered to record details for later. The younger, healthier topsoil is likely to be super effective, and the old stale soils may need higher restoration inputs. They've started keeping track, but now we have to wait on results. It's a cool project with huge, enormous, inspiring goals. The mining company has been game for every improvement and willing to put all of their mistakes and lessons into the world.